RESERVATIONS ARE REQUIRED: Click here to RSVP by completing the online form. All RSVP's will get a confirmation. Donations are on a sliding scale in the hopes that everyone who wants to attend can. Thanks to the generosity of our hosts. **Please note that if you RSVP we expect you to come. If for some reason you are not able to come; please let us know, so that we can provide the space for someone else. Thank You for your help in making this a great event! This event is all about Samba. The music and the dance and the flavors from South America. 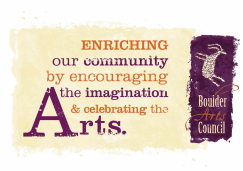 It is a great pleasure that the Boulder Arts Council again has the support of Jacqui Smalley and Jean Strickland to put on another event for the town of Boulder in support of the Boulder Arts Council. Jacqui Smalley is providing the space at her horse barn made ready for the event, funding the tasty treats by Magnolia's and salads and vegetables from Boulder Creek Ranch Garden. And Lorin Hansen's professional dance instruction for the event. Jean Strickland is again providing her amazing skill and enthusiasm for music; this event features Samba Bossa Nova music, which she is performing on flute with Boulder musicians: Carl Dede, on guitar and Jessica Frogley, vocals. Plus special guests: Steve Lindeman,, on keyboard and David Sheppard, on guitar. The evening is not complete without tasty bits. Magnolia's will be serving Asado using local lamb from Sergio Femenias. Salads and garden vegetables will be provided from the Boulder Creek Ranch garden. Beverages will be available as well.